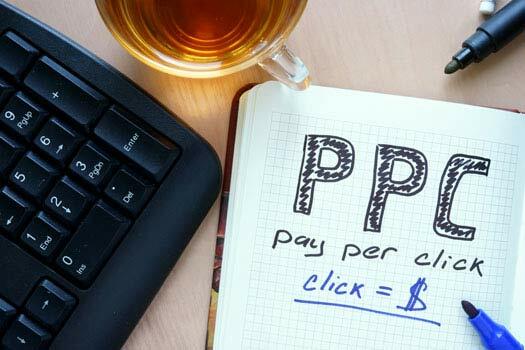 Instead of using traditional marketing strategies such as print and direct mail, many home care agencies are turning to PPC (Pay Per Click) and SEO (Search Engine Optimization) as an effective marketing strategy to increase client leads. A well planned SEO and PPC marketing strategy will include careful selection of keywords, effective content marketing, geo-centric campaigns, and performance tracking. The process of generating leads with PPC and SEO starts with selecting relevant keywords and phrases. While it’s important to select the most common keywords and phrases relevant to the home care industry such as “senior care” and “home care”, using longer variations such as “in home care for seniors” and “senior care for patient with dementia” etc. can be more effective because fewer companies are competing for those keywords, resulting in more (and better-qualified) leads. An exhaustive keyword research process is a MUST for identifying and selecting winning keywords for successful SEO and PPC. Get the keyword selection process wrong, and you are looking at thousands of dollars in Google AdWords spend without much traction. Choosing the right care options for an elderly loved one can be often overwhelming, stressful and confusing. Prospective clients looking for a home care agency tend to seek out reliable sources of information during the initial phase of searching for a home care solution. This provides a prime opportunity for Home Care Agencies to utilize their blog by providing answers to some of the questions a prospective client might have. Informative content can have a huge influence on the prospect’s decision-making process. Home Care Agencies that are not engaging their visitors through effective content marketing are hurting their chances of increasing lead conversion. For the purpose of generating interest in a home care agency, you’re likely to have more success if you focus locally due to the nature of the services provided. Since home care agencies often serve seniors from various nearby towns, optimize content for each specific service area with geo-specific keywords. With PPC, you can add your location to callout extensions and hyperlinks to better target prospects searching for home care. Results with PPC and SEO can be tracked right down to how well each keyword is performing. Adjustments you make to your SEO efforts can take a while to show results, but once the website is ranking well, you should start to see a good flow of leads. Results from changes to PPC can be fairly quick, but can also be quite costly. By effectively using both SEO and PPC for short-term and long-term lead generation efforts, you can target caregivers, seniors, and other qualified leads looking for home care options. And finally, no marketing campaign can succeed without properly measuring performance and the return on investment. Home Care Agencies should constantly evaluate the Return on Investment to ensure the amount of money spent on SEO and PPC is generating positive revenue. Interested in learning more about how PPC and SEO can help increase your leads? Saba SEO is a trusted leader in digital marketing, helping home care agencies across the U.S. and Canada. We help increase traffic to your website and drive revenue. Call us today at (858) 277-1717 for a free consultation!